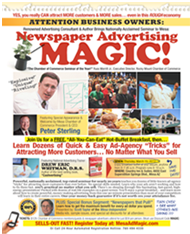 That’s because I spent over 3 decades creating thousands of hard-hitting promotions for many of the largest and most successful companies in the United States… from Fortune 500 giants, to tiny “mom and pop” shops. 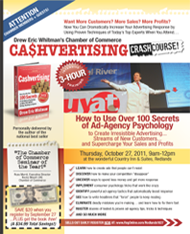 No matter what kind of business you run, hard-hitting advertising can make a dramatic difference in your sales. That’s because I create your sales materials with the same proven-effective ad-agency techniques I use for giant corporations who spend tens of thousands of dollars for their advertising. You get big-agency talent… big-agency results… without the big-agency tab. IT’S A FACT: Advertising created by experts gets dramatically better response than amateur, homemade “templated” promotions slapped together by cheap freelancers with limited skills and experience. What would it mean to your business if you had an ad-agency pro with over a quarter-century of experience creating super-compelling, 100% custom sales materials just for you? 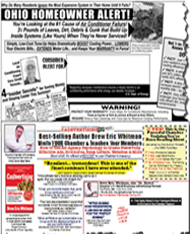 me… and let’s inject profitable new life into your advertising without delay. May Drew Create for You? Most of today’s online promotions are missing a “hook” that’s powerful enough to grab readers’ attention… and persuade them to buy. Many seem to be exercises in writing long copy for the mere sake of making it long. (Zzzzzz.) And still others subscribe to the “give-them-100-free-worthless-gifts-at-the-end-of-the-letter-to-try-to-get them-to-buy” school of copywriting. (If you effectively conveyed the value of the product, a pile of crummy gifts isn’t necessary.) Drew crafts landing pages and emails packed with enough interest, benefits and credibility to convince prospects to whip out credit cards or log into PayPal and send you money. For more than 225 years, the venerable newspaper is still the most credible advertising medium in existence. Multiple studies prove it. And so do effectively crafted ads. Because the right offer can bring you more response than you’re prepared to handle. (But that’s a good problem, right?) Tell Drew what you’re selling and what size ad you want to test. He’ll shoot you back a quote that includes both copy and design. Your shiny new ad will be ready to email to your newspaper. All you do is sit back and wait for the response. Ahhh… what could be easier? Custom-crafted like our famous brochures, but we “hold the fold!” Actually, Drew insists that they’re prepared more like dynamic, 4-color magazine ads. Nothing wimpy here. 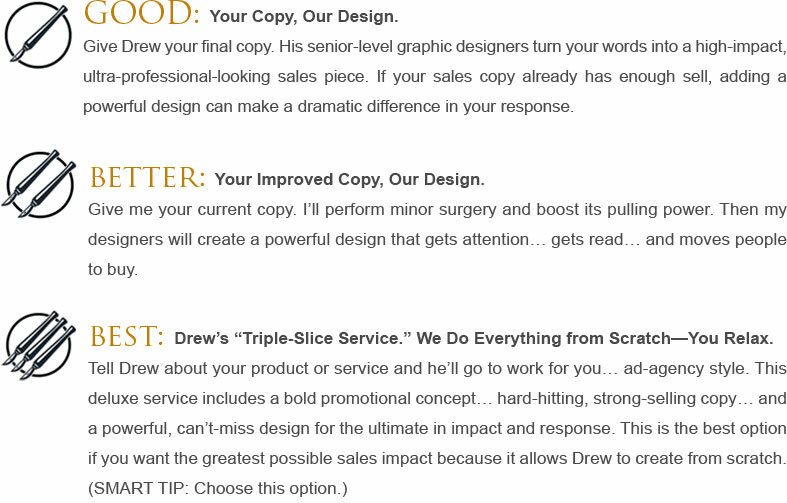 Drew’s high-impact sales copy and classic direct-response design make your offer stand out from the crowd. One-sided or two-sided, plus your choice of sizes. And no design templates—ever. 100% custom made to order by top-notch pros. Need to do some real persuading? 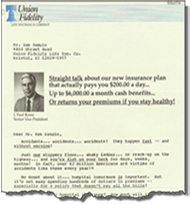 A custom-written direct-mail sales letter is the way to go. That’s because it’s more personal, and connects one-to-one with your reader. 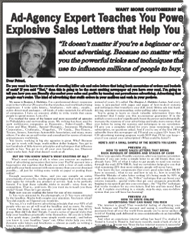 With literally thousands of sales letters under his belt (written for many of the nation’s most successful companies), Drew knows how to craft persuasive letters that motivate consumers to buy. 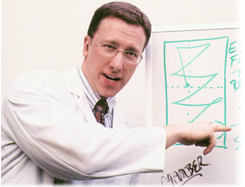 It’s a true specialty, and takes many years’ experience to do it effectively. May Drew write one for you?